I love to wear bright-colored lipsticks in the spring and summer. The problem is, at my age, it wicks up the lines around my mouth. Joker looking lipstick is not my goal! What can I do to stop that? Generally, the more matte a lipstick, the less likely it is to bleed but it can also be more drying. There’s several new products on the market designed specifically to stop your lipstick from bleeding up the lines around your mouth. There’s also some old-time, generic favorites that might help with this. Let’s start with good old Chap Stick. After applying your foundation or tinted moisturizer, cover the area above and below your lips with Chap Stick. Allow it to sit for a minute or two. It’s not going to dry, but you want to let it settle in a bit. Then pat on some translucent powder to set the Chap Stick. Next, line your lips, directly on your lip line, with the lip pencil of your choice. Then fill your lips in with this lip pencil. Follow this with your favorite lipstick. Wait a few seconds, then blot your lips with a tissue. 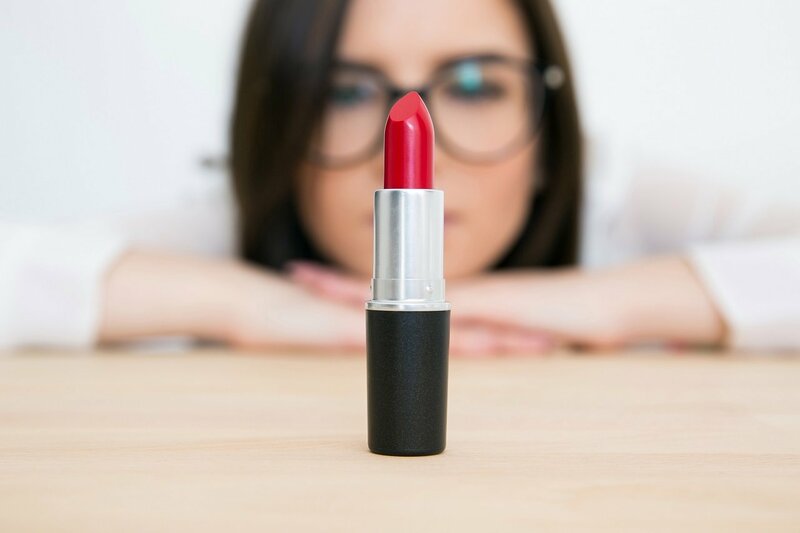 Finally, reapply one last coat of your lipstick. The next thing you can try are waxy pencils, made specifically to stop lipstick from bleeding up the lines outside your lips. 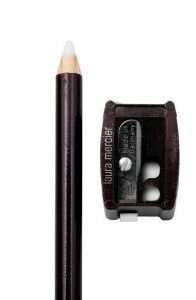 Laura Mercier makes a simple to use, elegant pencil that goes on clear, and stops lipstick in its tracks. 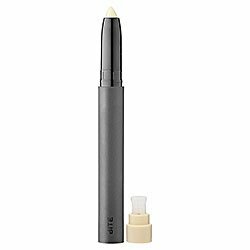 Following your foundation or tinted moisturizer, stroke this waxy pencil just outside your natural, or preferred lip line. This pencil is so light you can choose to lightly dust with translucent powder, or leave as is because this doesn’t show! Next, line your lips with your lip pencil of choice and fill your lips in with the lip pencil. Follow the instructions above to apply lipstick, blot, then apply again. Bite Beauty makes a pencil designed to be applied on your lips for anti-feathering, But I find it works better applied outside my lip line, like the others. To be honest ladies, greasy, heavily slick lipsticks are a challenge at Midlife. At 25 we could slick that grease all over our lips and it would stay put. Now, we need to be a bit more strategic with its placement. After your lipstick is on, try applying a dot of gloss to the center of your lips, closer to the inside than lip line. It does make your lips appear fuller, and you have a better chance of it staying put. *Disclaimer: This post contains affiliate links. Please see our Affiliate Disclosure for full details. 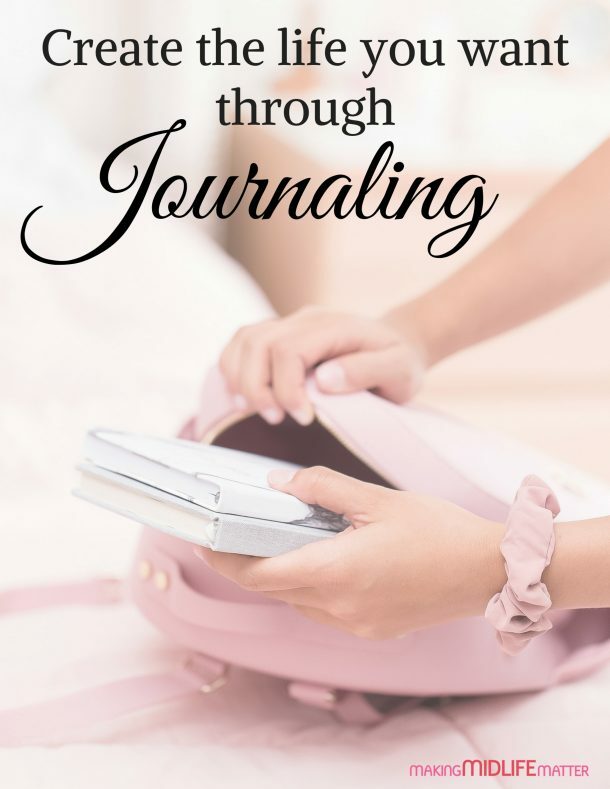 Download My FREE Printable Ebook that will help you discover how journaling can benefit you, how to create room in your life for journaling and more! Transform your life and mind with your new journal habit! Yes! I want to change my life through journaling! Please check your inbox and spam folders for a confirmation email. 2,674,623 total visitors and counting! Visit Making Midlife Matter's profile on Pinterest.